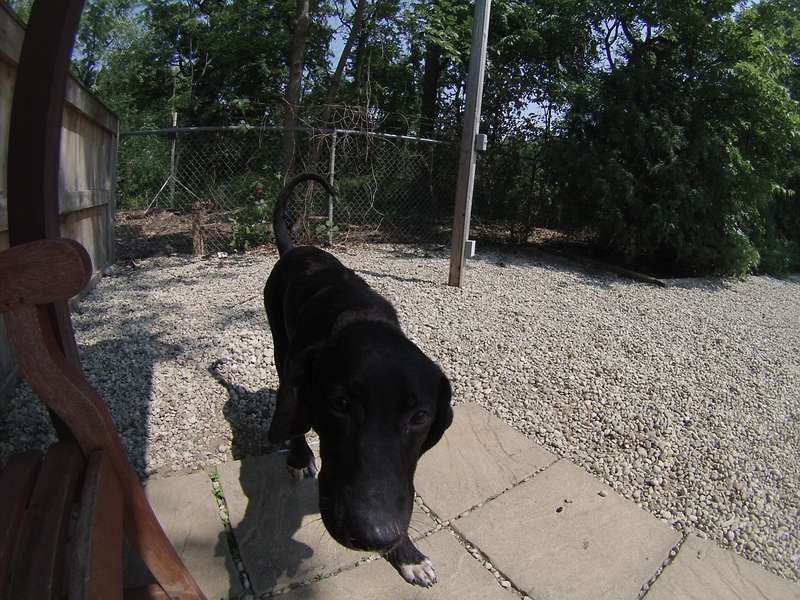 BeeWee the two-year-old black Labrador Retriever mix is a playful, happy guy. He quickly led the way to the off-leash run and had a fun time following his nose and exploring. When I threw a tennis ball, he bounded right after it–but he hasn’t quite mastered ‘fetch’ yet so he didn’t bring it back. He’s a retriever, though, so with a little practice I’m sure he’ll get the hang of it! BeeWee is the type of pooch who wants to say hi to everyone and be friends with everyone. He was originally sharing his kennel with another (big) dog who has since been adopted, so he could go to a home with or without another dog. BeeWee loves to get attention and will do a cute little dance when you scratch his hips. Stop by soon to say hello to BeeWee! 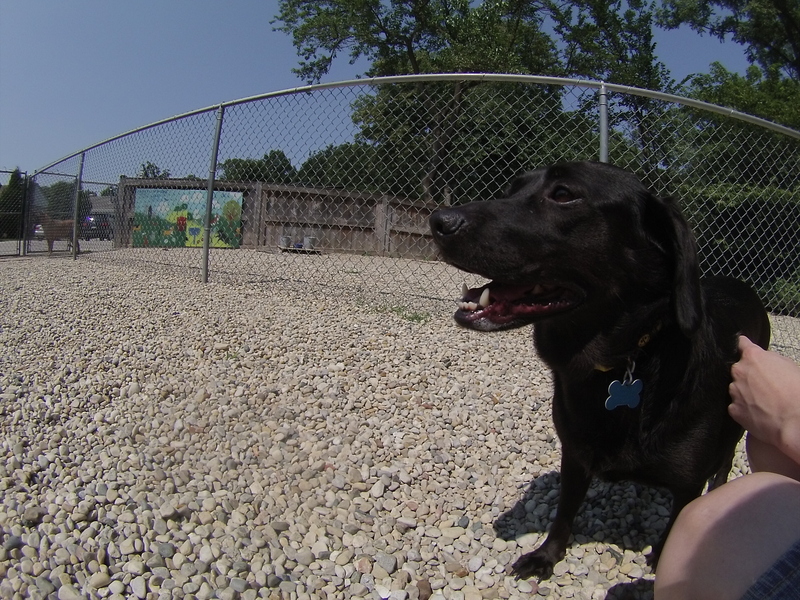 Bonnie the five-year-old black Labrador Retriever mix is much smaller than your purebred Lab. In fact, her legs are so short that when she tried to hop up onto the bench next to me, she couldn’t make the leap! (So I moved and sat down on the ground so she wouldn’t feel left out.) Bonnie is an absolute sweetheart who just wants to love and be loved in return. Bonnie could be considered a “Velcro” dog because she likes to stay close to her person. Even when I let her off the leash, she still stayed close to me as I walked around. Whenever I knelt down next to her, she would put her head in my lap and cuddle. And walking with her on the leash was a breeze. If you’re looking for a sweet and gentle companion who loves to snuggle, come in soon to meet Bonnie! 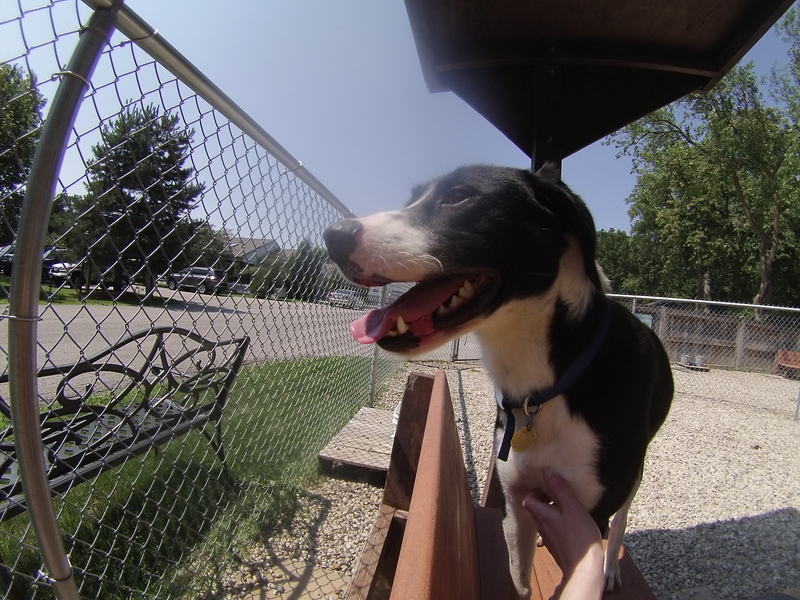 Gambler the two-year-old Border Collie mix is one of those dogs who will make you smile immediately because he is just so friendly. When another volunteer hooked Gambler onto a leash and let him out of his kennel, the first thing Gambler did was give that volunteer a doggy hug. It was quite possibly the cutest thing I have ever seen, because it was so clearly a “thank you for taking me out!” hug. After that, I knew Gambler and I would get along great. Gambler is a happy pooch with a constantly wagging tail. He had a good time racing the dog on the other side of the fence while we were in the off-leash run, but soon came back to me and buried his head in my lap so we could snuggle. Gambler seems like he gets along with other dogs, but if you do bring him into a home with another dog, Gambler would prefer to eat his meals separately. If doggy hugs are your thing, be sure to say hello to Gambler! I also saw Bella, Blush, Diamond, Kayne (also spelled as Kane), Lexi, and O’Shea. 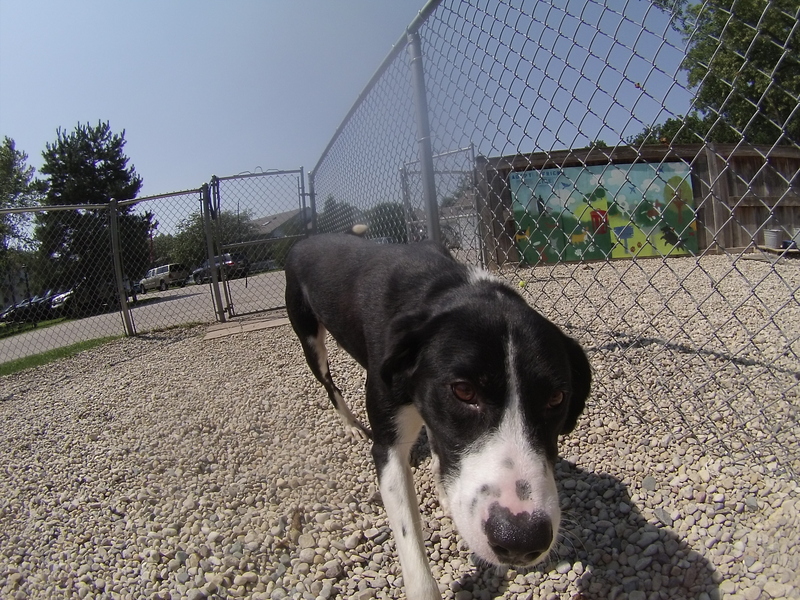 Posted by Meet the Pooches on August 27, 2015 in Dog Profiles and tagged adopt, adoption, animal shelter, animals, Black Dog Syndrome, Border Collie, Chicago, Deerfield, dogs, Labrador Retriever, Orphans of the Storm, pets, Riverwoods. Black dogs are so beautiful! They really are! It’s not always easy to capture in photos, but they’re so pretty–especially in the sunlight!